Want to transfer your DVD movie collection to your PC or Mac? The best way to do this is to convert your DVDs to the MKV format. With Movavi Video Converter, you can get this done easily as well as convert your MKV videos to the DVD format. 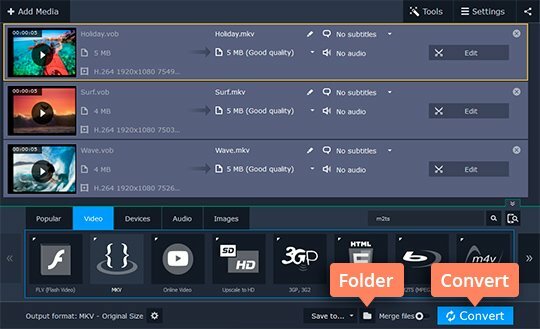 In addition to converting video and audio between all popular formats, Movavi Video Converter offers easy conversion for mobile devices, video trimming, extracting audio from video, and more! 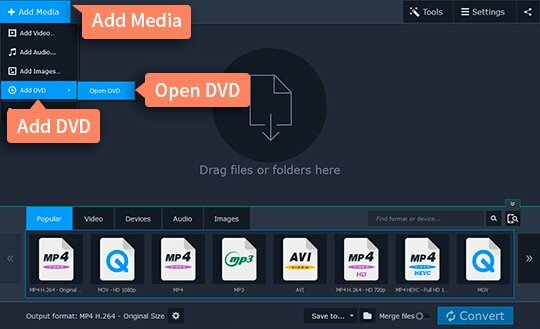 Just download the suitable version of the program and follow these step-by-step instructions to find out how to convert MKV to DVD and vice versa with Movavi Video Converter. 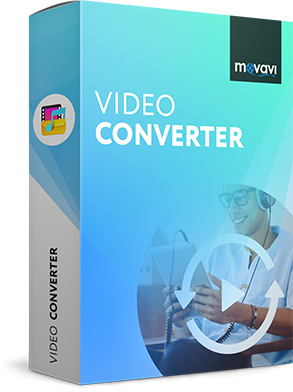 You can download the Windows or Mac version of Movavi Video Converter from our site and try it for free. Run the downloaded file and follow the on-screen instructions to install the software correctly. After the installation process is complete, launch Movavi Video Converter. Insert the Video DVD you want to convert into your computer’s DVD drive. To add the DVD to the program, click the Add Media button in the upper left corner, then select Add DVD and click Open DVD. Choose your DVD from the dialog box that appears. If you want to save MKV files as DVD, hit Add Video instead and browse for the desired video clips. Open the Video tab. In the MKV group, choose an MKV preset. To choose DVD as the output format for MKV files, look for an appropriate preset in the dedicated DVD settings group – DVD-Compatible Video. If you want to change codecs, resolution, or other video parameters, click the Cogwheel icon and adjust the settings accordingly. To detect the device automatically, just connect it to your computer and click the Cell Phone icon on the right. Before starting the conversion, specify the folder where you want to save the converted videos. Click the Folder icon, choose an existing folder or create a new one, and click OK. Once all the settings are specified, click Convert and wait for the process to finish. The folder with the converted videos will open automatically right after conversion is complete. 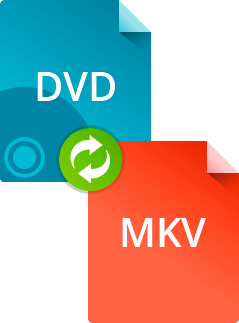 Now you know how to convert MKV to DVD or DVD to MKV in just a few mouse clicks. If you want to burn the DVD-compatible files on an actual DVD, e.g. for watching on your DVD player, try Movavi Video Suite for Windows. 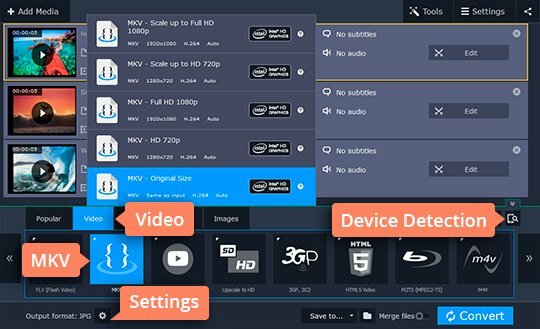 Movavi Video Suite includes a large number of software programs for video processing: video converter, DVD/Blu-ray burner, video editor, video capture, screen recorder, and more.